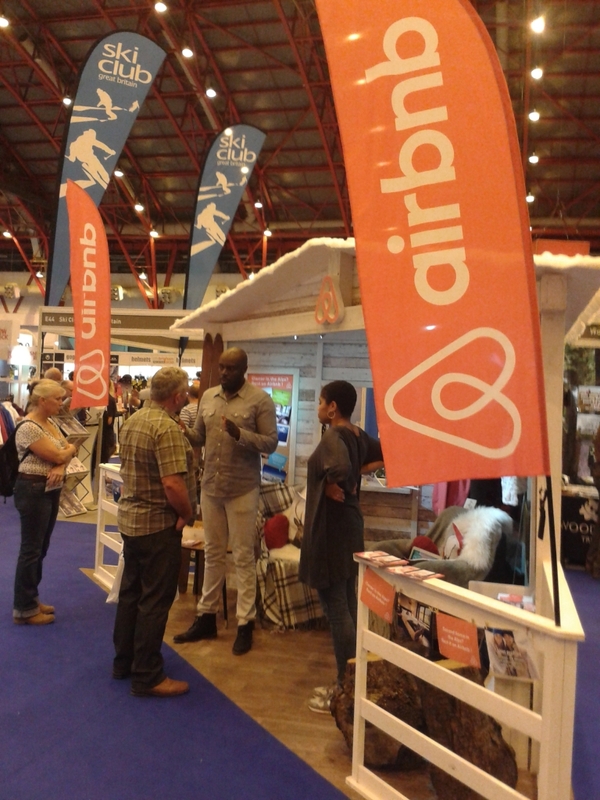 The London Ski Show has generally seen fewer destinations and tour operators exhibiting in recent years, but one notable new arrival in 2014 was Airbnb – ‘travel’s most fascinating company’. The company was founded in the summer of 2008 and is now valued at around $10 billion – with over 1 million listings in more than 30,000 cities worldwide. Notionally in the vanguard of the ‘sharing economy’, Airbnb is well beyond the world of bartering. It was Inc. Magazine’s Company of the Year for 2014. Although their stand at the London Show was small, Airbnb is aggressively targeting the ski market. Jean Gnamien, head of Business Development, told us that demand for properties in the French Alps has doubled in the last year. Gnamien told us that Airbnb hopes to increase their current stock of Alpine listings from 2000 to 10000 by May 2015. A website dedicated to the ski market has already been set up at www.airbnbski.com. As well as consumer shows, Airbnb has the funds to reach a large audience with their message. The company is one of the main sponsors of the FIS World Cup Finals, to be held in Meribel later this season. They have also sponsored the French Freestyle Team and le festival de cinéma Montagne. 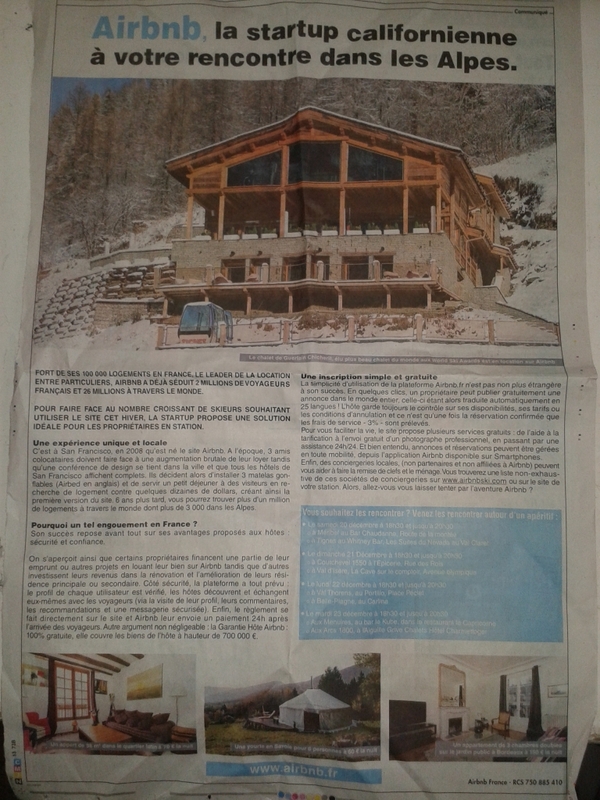 While in France last week, we saw this full page advert for the ‘startup californienne’ in Le Dauphine Libere – the local newspaper of the Alps – detailing how bookings works, their ‘Host Guarantee’ and how to set up a property on the site. There was also a list of dates over the following week that anyone interested could meet the local Airbnb team in resorts including Meribel, Tignes, Courchevel, Val d’Isere, Val Thorens, La Plagne and Les Arcs. Many French resorts see Airbnb as a great additional source of distribution and a way of improving occupancy in ‘lukewarm beds’ (those that are only used four to twelve weeks each season). Hoteliers, however, are not as welcoming. The rise of Airbnb has left a raft of complaints and accusations in its wake, across the world. The failure to collect taxes and abuse of rent-controlled apartments have been among the main queries raised. There must also be a threat to tour operators, particularly those specialising in apartments and short stays. At LISTEX in October, there were mixed views on the panel discussing the ‘sharing economy’. Pierre & Vacances are at risk of losing some of their stock of apartments as private owners use Airbnb instead to rent out their properties. Cathy Rankin from P&V did confirm that they will be introducing a new concierge service, as the company recognises that owners using Airbnb will need staff to service their apartments if rented out privately. There are also new entrants to the market to consider. 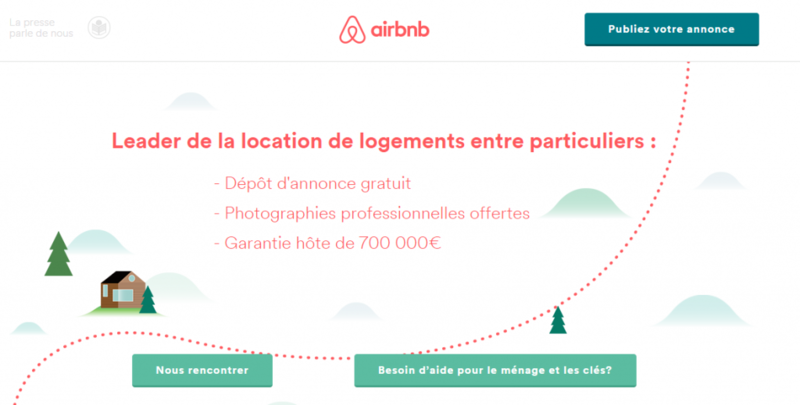 Housetrip is another well-known start up and Le Bon Coin is targeting the French market with lower commissions than Airbnb. It may also be that tour operators and hotels bow to the inevitable and end up using Airbnb as another distribution channel, although whether Airbnb would allow their USP (‘unique places from local hosts’) to be diluted is another question. Airbnb will remain the market leader for now, but whichever company comes to dominate in the future, it seems certain the way people book accommodation has changed forever.